University of Maryland agriculture instructor Meredith Epstein loves teaching, but it isn’t the career she imagined for herself. Epstein doesn’t lack the skills, training, or talent for her chosen profession—farming—she simply can’t afford to invest in a farm of her own because she has student loan debt. 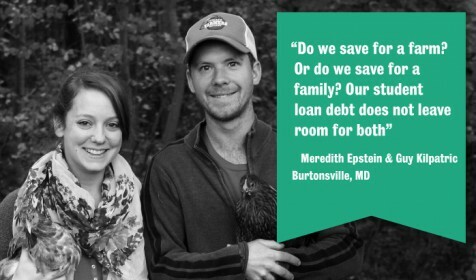 The Young Farmer Success Act of 2015 would remove this barrier to business investment for Epstein and thousands of other young farmers like her. The Young Farmer Success Act (House Bill 2590) was introduced on June 1, 2015 by Representative Chris Gibson (R-NY) and Representative Joe Courtney (D-CT). The bill seeks to address a major crisis facing American agriculture: Not enough young people are becoming farmers. 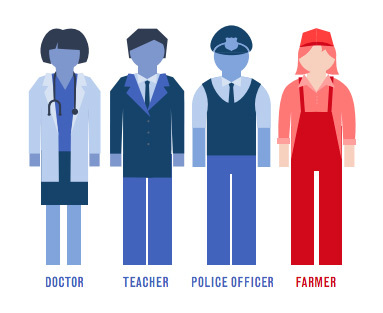 As the majority of existing farmers near retirement (the average age of the American farmer is 58), we will need at least 100,000 new farmers to take their place. But between 2007 and 2012, the number of young farmers increased by only 1,220. Farming is an expensive business to enter, in part because of skyrocketing land prices, and beginning farmers often face small profits or even losses in their first years of business. 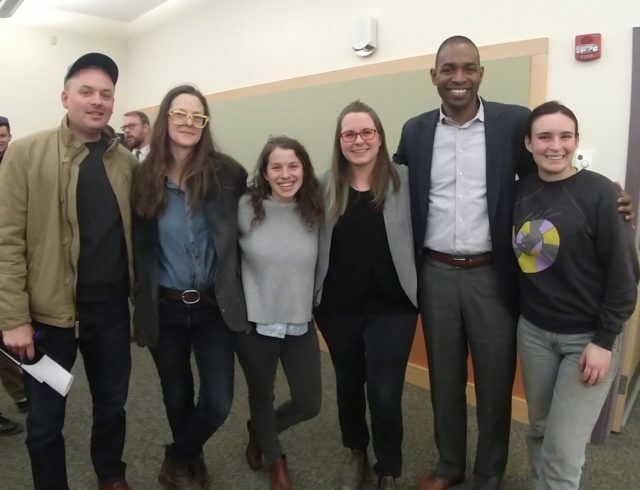 In 2011, the National Young Farmers Coalition (NYFC) conducted a survey of 1,000 young farmers and found that 78% of respondents struggled with a lack of capital. A 2014 NYFC survey of 700 young farmers with student loan debt found that the average burden of student loans was $35,000 and that 53% of respondents are currently farming but have a hard time making their student loan payments, while another 30% are interested in farming but haven’t pursued it as a career because their salary as a farmer wouldn’t be enough to cover their student loan payments. and tell him/her to support House Bill 2590. I know what you are thinking – you don’t have time for this button. But why take that chance when there’s so much at stake? Even one email can make a big difference.